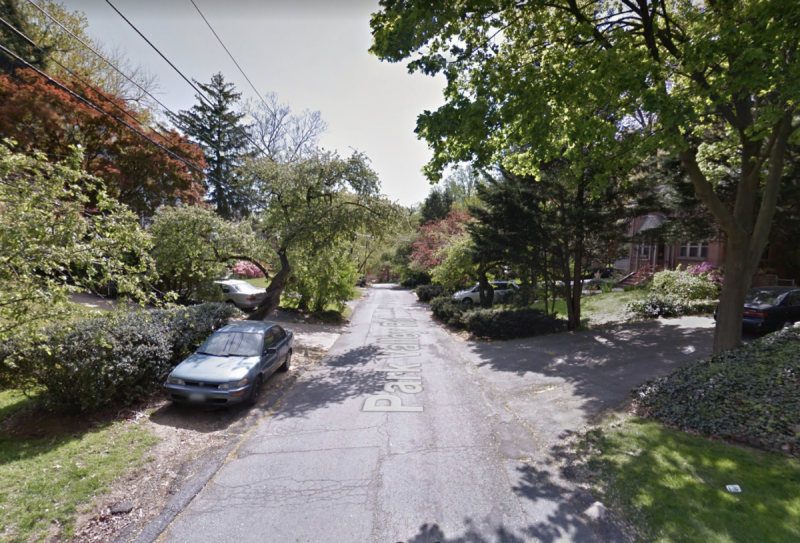 Montgomery County has plans to build gardens that collect and clean stormwater on the street in front of homes in older neighborhoods. Residents, however, are up in arms. A rain garden on Dennis Avenue in Silver Spring. 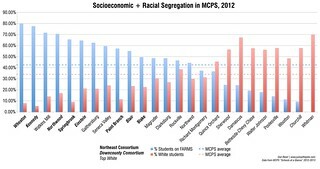 Image by Montgomery County Department of Environmental Protection. Whenever a new development is built, the developer is usually required to plan for getting rid of rainwater from big storms. They regrade the land so water flows away from houses, and often create a stormwater management pond where all the water can go. 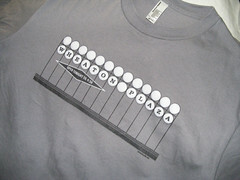 Older neighborhoods frequently lack those things. Many streets in older neighborhoods don’t have good drainage, or have streets with no curb and gutter. After a storm, water can collect in people’s yards, causing erosion or flooding. Or, it flows directly from the street into a storm drain, collecting a lot of pollutants before dumping the water into local waterways. Several years ago, Montgomery County started the RainScapes program to address this issue by building rain gardens on public property, including parks and schools, and giving private property owners rebates for building them on their land. Also called a bioswale, a rain garden is basically a landscaped area that’s designed to collect rainwater after a storm. They include a mix of plants, rocks, dirt, and even sand that filters the rainwater before it seeps into the ground below or is directed to a storm drain. Native plants give pollinators and other animals a welcome habitat. Currently, the county is working on plans to build them in Wheaton Woods, a 1950s-era neighborhood between Wheaton and Rockville where flooding is an issue. However, some neighbors are fighting it. One resident told Channel 7 that the gardens are dangerous because people will fall in them. Another claimed that they would hurt his property values, while a third worried that stormwater pollution will somehow end up in his yard instead. 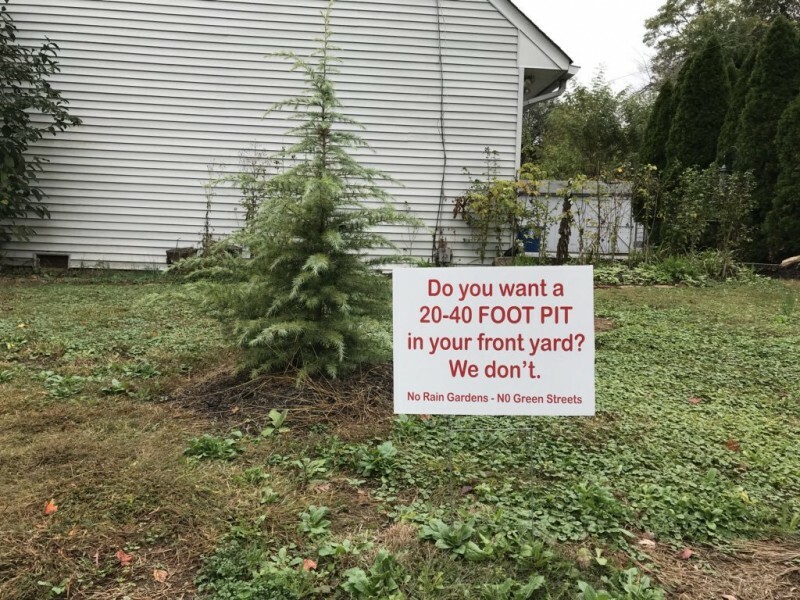 A yard sign in Wheaton Woods protesting rain gardens. Image by the author. 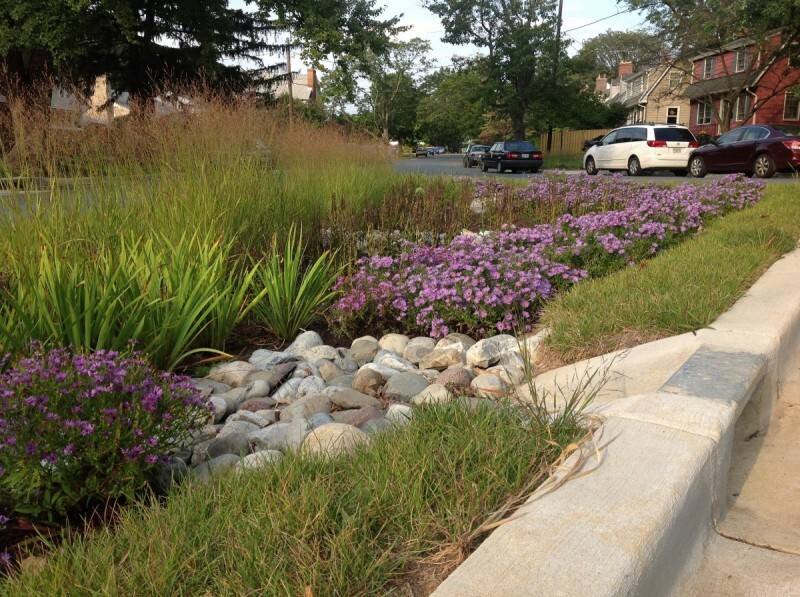 Neighbors asked about the rain gardens at a recent county executive debate in Aspen Hill. In response, candidates Marc Elrich and David Blair referred to them as “pits of death” and repeated the claims that they were unsafe. Elrich, a current county councilmember, accused the county of misleading people. “The pictures that I saw are radically different from what I’ve been shown of what these are supposed to look like,” he told the crowd, adding that nobody knew if the rain gardens were eliminating the biggest sources of water pollution. According to the Chesapeake Bay Foundation, the largest sources of pollution after agriculture come from vehicle exhaust and lawn fertilizer, things which would be pretty common in a suburban neighborhood like Wheaton Woods. 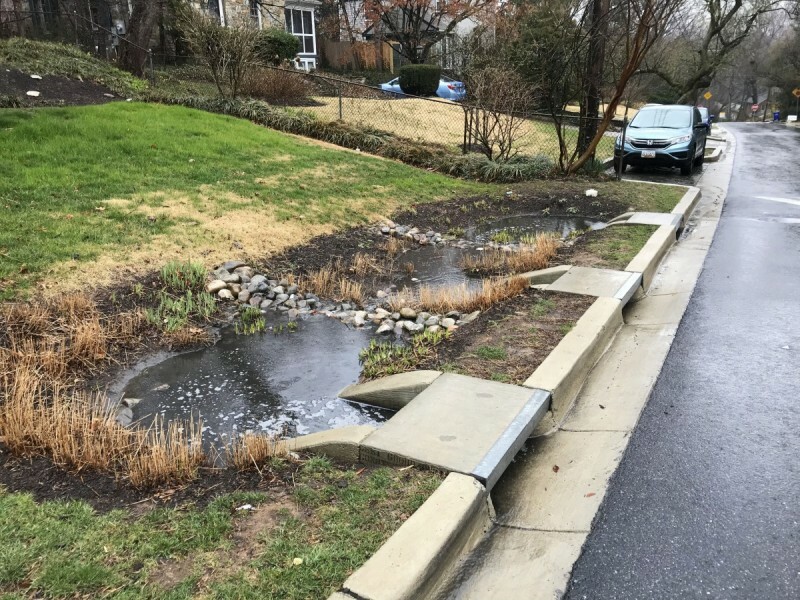 Over the past six years, county has built more than 300 rain gardens in thirteen older neighborhoods, mostly around Bethesda, Silver Spring, and Wheaton. They’re built using public funds, in the public right-of-way next to the street, and are maintained by the county. Each one costs between $25,000 and $35,000 to build. A rain garden in Sligo Park Hills, doing its job and collecting rainwater. Image by the author. What this street used to look like. Image by Google Street View used with permission. One area that got rain gardens is Sligo Park Hills, a 1930s-era neighborhood in Silver Spring next to Sligo Creek. The streets are narrow and hilly, and flooding was a recurring issue after big storms. Neighbors often parked their cars on the grass, or paved part of their yards. Residents actually asked for the rain gardens instead of having their street dug up to build a new drain pipe. Today, the streets have curbs, gutters, and lushly landscaped gardens on either side. On a rainy day last month, water steadily washed off the street and filled the rain gardens. There are curbs and gutters, and neatly defined parking spaces with pervious pavers, which also allow water to pass to the ground below. 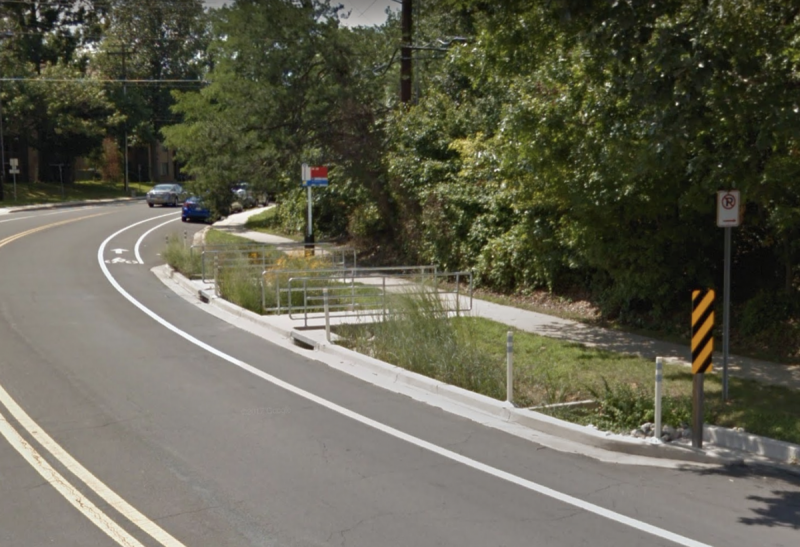 In White Oak, rain gardens were also a tool for traffic calming on busy Lockwood Drive, a major bus corridor that’s home to thousands of apartments, a major shopping center, and a recreation center. The county created bump-outs along the street to slow down speeding drivers, while creating expanded areas for people to wait for the bus. Perhaps anticipating concerns about people falling in, there are handrails along the sidewalk next to the rain gardens. Other places in the Washington region have built rain gardens as well, with really positive results. Edmonston, a small town in Prince George’s County, was one of the first places in the nation to incorporate rain gardens as part of a “Green Street” project eight years ago. Meanwhile, a pilot program in DC built over 30 rain gardens and rebuilt several streets in Petworth. Rain gardens create a nicer place to wait for the bus on Lockwood Drive. Image by Google Street View used with permission. Beyond this region, rain gardens have been popular in other cities, including Seattle, where they originally faced a backlash from neighbors who said children would drown in them. But even there, people were much more receptive when they got built. Additionally, there’s some proof that rain gardens actually increase property values. A study in Seattle found that homes on streets with rain gardens were worth 3.5-5 % more than homes on other streets. It’s not unusual for a group of neighbors to be concerned about some kind of proposed change in their community. But if we’re going to improve our natural environment, we need to embrace solutions like rain gardens that can accomplish multiple goals, from stopping flooding to reducing pollution, while making our streets look better.